Orientation with Mission Aviation Fellowship Canada is complete; we're glad to be back in Alberta and reunited with our two precious girls. A massive thank you goes out to both Grandma and auntie Beth for looking after them for the 10 days. 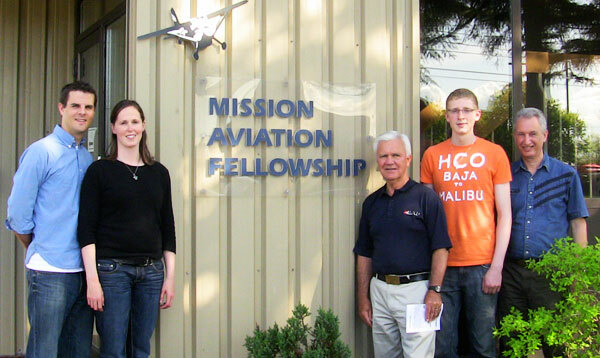 Now that the necessary interviews are complete and the paperwork signed, MAF considers us pre-field missionaries! It's an interesting title which essentially means we get to spend the next 8-10 months building up a team of supporters (both prayer and financial) who are as passionate about the ministry of MAF as we are. Although we have all the information from the last week swirling around in our heads, we expect to have a ton of fun traveling around the country, reconnecting with friends and family and even meeting new people who want to be part of this exciting work. [Edit] Please feel free to get in touch with us if you want more information about supporting our ministry with MAF. And now with the mail strike on, you can always go to www.mafc.org and follow the donate links too. Our journey into service with MAF in Chad – punctuated by providence and founded on faith – it's our pile of stones (Joshua 4).